Being a fit and strong woman requires strict adherence to regular exercise and top-notch nutrition. More often than not, the food we eat can be enough to supply our body with the right kind of nutrients, something that should help us to power through our exercise sessions and recover quickly. However, some women want results faster. This is where supplements like pre-workouts come in. In a nutshell, pre-workouts are supplements that work to support your daily exercise needs. Whether it’s to help you take your cardio performance to new heights, or to help you lift your new personal best in the weights room, pre-workouts will propel you to new levels, putting an end to frustration and making you feel more confident about your abilities. You don’t want to take pre workouts and expect them to work like a magic weight loss powder. The whole point of these products is to help you increase your strength and stamina in order increase your body’s natural ability to burn. The needs of most guys are way different from the needs of most girls. That’s just fact and it’s no different when it comes to pre workouts. Despite supplement companies catering to women for the longest time, there are still women who want to find safer options, especially when it comes to stimulants and other enhancers. Regardless of gender, most people prefer natural ingredients. Unless you’re into muscle competitions and extreme bodybuilding, natural is best. Natural ingredients are very much the trend when it comes to the latest supplements, this has made these products more approachable to women, as there’s less need to worry about really bad side effects. Let’s face it: Women love coffee as much as guys do, so it goes without saying that some caffeine is necessary. However, the dose has to be just right as most women aren’t really into the whole “buzz now, crash later” sort of effect. 100mg per serving is safe dose. It helps your body generate nitrous oxide which are then used to give your muscles more pump with each lift. Yeah, girls like to lift heavy too. This is a really great ingredient when it comes to boosting endurance which also leads to delayed muscle fatigue, the upside is that you don’t get the bulking effect that creatine gives. Taurine. A staple ingredient in a lot of energy drinks, this is naturally found in the muscles and in the brain and works as an antioxidant. ENXTRA. A blend of lemongrass, licorice, and alpinia galanga which helps amplify the effect of caffeine. Adding this in a pre workout means you get a boost of energy with less caffeine. OXYJUN. A premium form of terminalia arjune, a plant used as an alternate source of energy which doesn’t have the side effects caffeine is known for. Coconut Water Powder. Pre workouts today will have electrolytes in one form or another. This is because studies show electrolytes help improve muscle hydration as well as reduce the risk of muscle cramps after a tough workout. Vitamins are all awesome additions too, in particular it’s the B-vitamins you really want to see because B-vitamins are depleted during vigorous exercise and need to be replenished. If there are some ingredients women want, certainly there are ingredients women don’t like too. We’re talking about the likes of strong stimulants like those of ephedra, synephrine, and yohimbe or stimulants that play with your adrenaline hormones. Then we also have ingredients that promote strength like creatine. Despite the benefits a lot of women still don’t want big muscles and instead go for the slender and strong body type. Putting the ingredients to one side, another key criteria for workout supplements is taste. At the end of the day it’s going to be really hard to take something every day if it tastes like burnt coal! As far as sweeteners are concerned, there are plenty of options out there that offer zero or really low calories. You can opt for Stevia, but we think Sucralose is better just because it has a superior flavour with no aftertaste. Not to mention scientists aren’t exactly sure if Stevia has any health benefits at all. Our favorite pre-workouts for women are those that include very few stimulants and no creatine. As a result POWHER is our top pick right now. Not only that, it also has the key ingredients women want in a pre-workout for weight loss. Powher’s unique collection of energizers when combined offer ten times the benefits than if they’d been ingested on their own. The best example of this is the addition of EnXtra which boosts the performance of relatively small quantities of caffeine. The upside of this is that you get a female pre workout that has exactly the same benefits with less chance for side effects. Other stimulant free performance boosters in this product include Rednite and Oxyjun.These natural options are exactly what you need to drive quicker fat loss and improved muscle tone. Shredz’ pre workout for women has a few ingredients we found in POWHER, but not every one which explains why it’s sitting at noLEAN--2. However, this doesn’t mean it’s a bad product. We actually think it’s a really well formulated pre workout for women and there’s really no real reason why you should be discouraged at buying this. That said, the lack of EnXtra is a notable omission. It means that the makers have had to include another stimulant; Cocoa seed Extract. It’s important to monitor stimulant content when buying a workout supplement, especially if you want to avoid jitters and energy crashes. Fitmiss IGNITE is pink all over and if you buy the strawberry flavor, you’ll have a pink drink too! While it does contain some of the key ingredients we’re looking for in our list of best pre workouts for women, we deducted points due to proprietary blend and low dosing. It also uses slightly cheap alternatives in its formula. For example instead of using the Nitrate boosting Rednite, Fitmiss plumps for bog standard Beetroot. Don’t get us wrong; we like that they used some really potent stuff in their formula, but we believe quantity should be balanced with quality. Fitmiss also pumps out a great line of other supplements, including Tone. ENGN SHRED’s formula is amazingly detailed. It has blends for the brain, fat burning, and energy. The only gripe we have is it’s too complex for its own good. You can only add so many ingredients before synergy starts to fall apart. Then we also spot the likes of Yohimbe which is a no-no in a pre workout for women, as it comes with potential side effects. Still, it’s a good product overall, but just not enough to earn #1. Pre Jym is one of the best pre workouts in the market today. Sadly, it’s not exactly built for women, not with its creatine content. Then there’s also the issue of adding 300 mg of caffeine which is just too much in our opinion. It could’ve done better if it used “clean” alternatives that won’t send you crashing. Black pepper extract as BioPerine. Athena is the Greek goddess of strategy and wisdom. She is considered a goddess who represents strong-willed women and women who aren’t afraid to get a strong body too. Athena Intense Pre Workout certainly has its female marketing all worked with a compelling backstory and brand. Unfortunately we had to mark it down due to a lack of female friendly ingredients. In fact the formula wouldn’t be out of place in a bodybuilders kitchen cupboard. Overall we don’t think this one is a bad product. However, we are not sure it is the best value due to the fact it only includes cheaper ingredients than many of its competitors. The folks at Naked Nutrition seems to be all about creating simple yet effective supplements, and what describes their mantra better than Naked Energy, a pre workout that only uses four key ingredients. You read that right, just four. This is clearly a breath of fresh air compared to many other supplements seeking to fill out the label. Yes, if you’re into creatine. Alani Nu’s pre workout has a lot of flavors. We have Hawaiian Shaved Ice, Rainbow Candy, Cotton Candy Grape, Mimosa, Blueberry Acai, Arctic White, Citrus Dew, and Aloha Pineapple. Sems to us someone at Alani Nu is into tropical flavors. Formula isn’t bad, just lacking some of the more essential stuff we want to see. What we like about it, though, is how it made use of the popular Theanine-Caffeine combo at a 1:1 ratio, which presumably prevents any stimulant-related side effects. Right off the bat, Ladyboss fuel claims to be an all-natural jitter free pre workout that gives you instant motivation. Based on the ingredients, it’s probably right since they did add a few herbs that help counter some of the side effects associated with caffeine. It’s also pretty loaded and we’re sure a lot of people like this brand, but it has creatine tucked away in a neat prop blend. Then it also has HMB, an ingredient known to work a lot like creatine in terms of getting muscle mass. So, despite the feminine name and packaging we’re not entirely convinced this is the best for women. From the get-go, Pre Kaged seems to be a supplement women wouldn’t really want given the way they marketed it on their website. However, a few do take men’s supplements and we think there’s nothing wrong with that. If you’re looking for something that won’t bulk you, though, this ain’t it. The formula is literally meant to build lots of mass and bulk. Formula is high quality, though, and the dosing is pretty decent. But again, we’re not looking for bulking here. The Curse may seem like a weird brand to name your pre workout, but it’s actually quite popular. Having said that it is quite evident that this product hasn’t been designed with a female audience in mind, the packaging is likely to be a little off putting if you’re a woman. As far as the actual product is concerned, it only has six key ingredients and is meant to help your body live up to the challenge of lifting weights. The things we didn’t like were the creatine content and the fact that they chose to hide their formula behind a prop blend. Apart from that, it seems to be an effective pre workout. If you’re interested, it offers seven flavors namely Tropical Storm, Orange Mango, Green Apple Envy, Blue Raspberry Ice, Lemon Rush, Watermelon Deluxe, and Pina Colada. This is one of those pre workouts we’re sure just does one major thing and that’s to pump you up. It has arginine, citrulline, arginine AKG, and beetroot extract, ingredients known to drive your nitric oxide production to maximum. It looks to be a decent product overall, but we’re looking for something that does more than just help you lift as not many women are into lifting that much anyway. That and we don’t like that they added 300 mg of flavor powder into the mix. That’s just crazy for something you’re supposed to take daily. C4 Ripped is another popular pre workout that we think should be classified more as a fat burner than a pre workout. Its prop blend formula contains more fat burners than actual pre workout ingredients. While we do like fat burner supplements, these are totally different products which often prioritise appetite suppression over energy and strength benefits. This pre-workout also has a rather unusual addition of Velvet Bean. This little extract is for testosterone production, so we’re sure it’s aimed more at men than women. 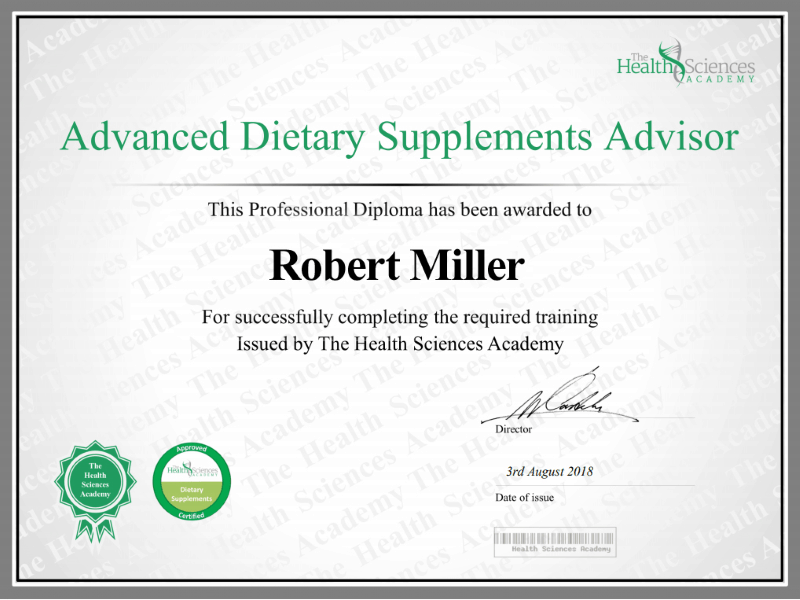 Optimum Nutrition is one of those companies that have earned the right to call themselves one of the best established in the supplement industry. They use high quality and branded ingredients matched with clinical dosages. Their Gold Standard Pre Workout is a reliable supplement that should offer some benefits to both men and women. Assault is a straight-to-the-point kind of pre workout that does away with the unnecessary fluff and puts emphasis on high quality dosing of its key ingredients. We see some of our favorite pre workout names, but we also notice it has a lot of creatine. If you can stomach the creatine content, then you should give this pre workout a try. Our list is made up of a mix of popular and up-and-coming brands all vying to be the best pre workout for women. In all honesty there just aren’t that many products that have been created solely for the needs of females. As a result you will see a number of unisex energy supplements in our list. These are products that we feel are not too high in stimulants nor ingredients that cause you to retain water. And with that, we concluded POWHER to be the best pre workout for women’s weight loss. We’ve based that on the fact that it genuinely provides fat loss benefits without using cheap stimulants or bulking ingredients. Srivastava S, Mennemeier M, Pimple S.
Effect of Alpinia galanga on Mental Alertness and Sustained Attention With or Without Caffeine: A Randomized Placebo-Controlled Study. J Am Coll Nutr. 2017;36(8):631-639. Int J Ayurveda Res. 2010;1(3):144-9. Abian-vicen J, Puente C, Salinero JJ, et al. A caffeinated energy drink improves jump performance in adolescent basketball players. B Vitamins and the Brain: Mechanisms, Dose and Efficacy–A Review. Icken D, Feller S, Engeli S, et al. Eur J Clin Nutr. 2016;70(4):532-4. Previous Previous post: MX Male Review: Does It Really Work?